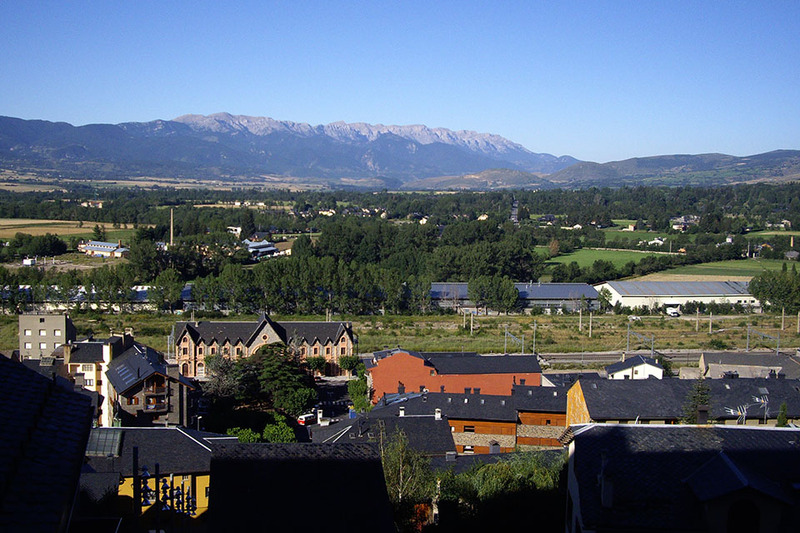 Stage 35: Malniu - Guils - Puigcerdà. 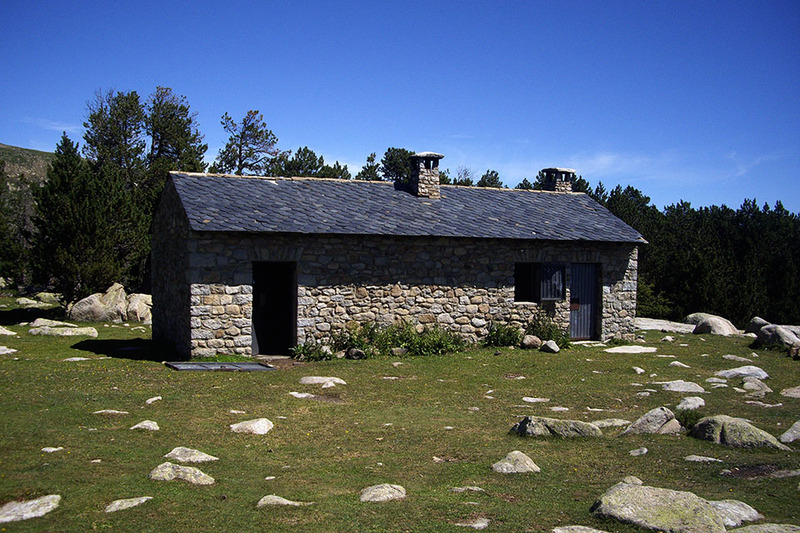 Stage 35: Refugio de Malniu - Guils - Puigcerdà. Time: 4h00min (walking time without stops). Water: you will find water in Malniu, at the De La Feixa refuge, in Guils, Saneja and Puigcerdà. 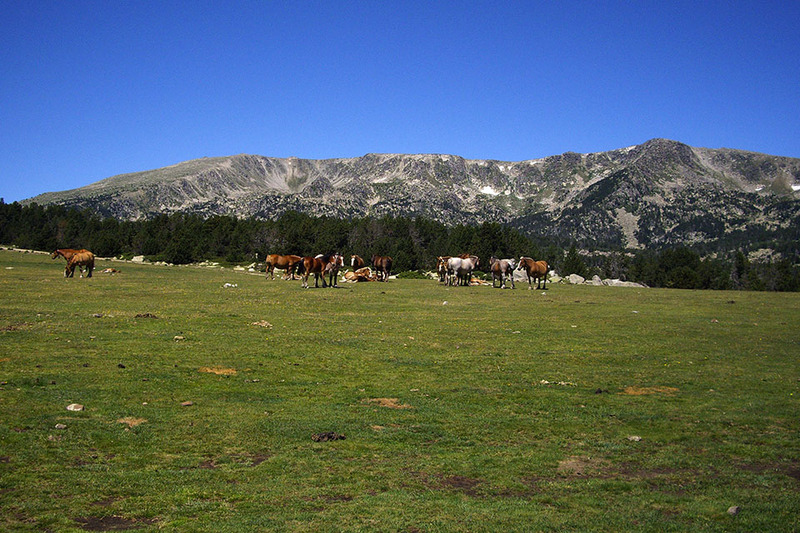 (0h00min; 0 kms) Refugio de Malniu (2.130m). Drinking fountain. Set out from the refuge by the track that heads down to Merangues. 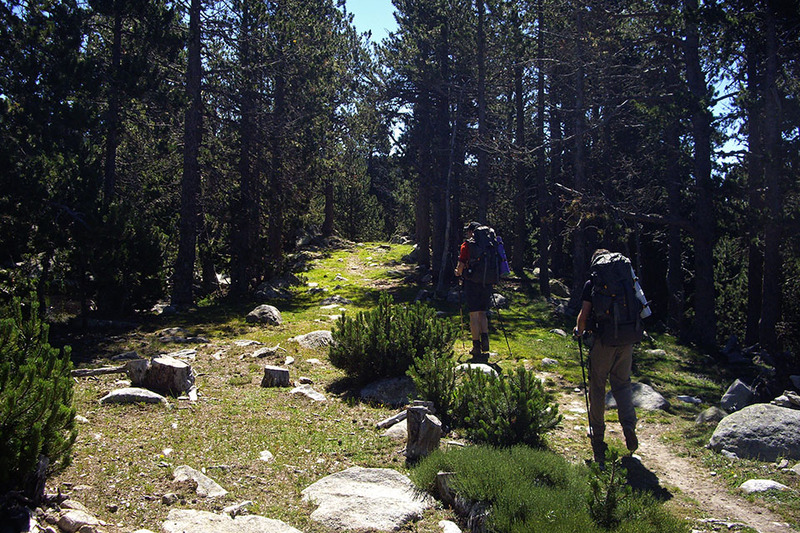 Leave it shortly afterwards and continue left, along a path that heads across undulating terrain dotted with pine trees, until you come to the track that goes from Malniu to the Guils-Fontanera cross-country ski resort. You follow it on the left (east). 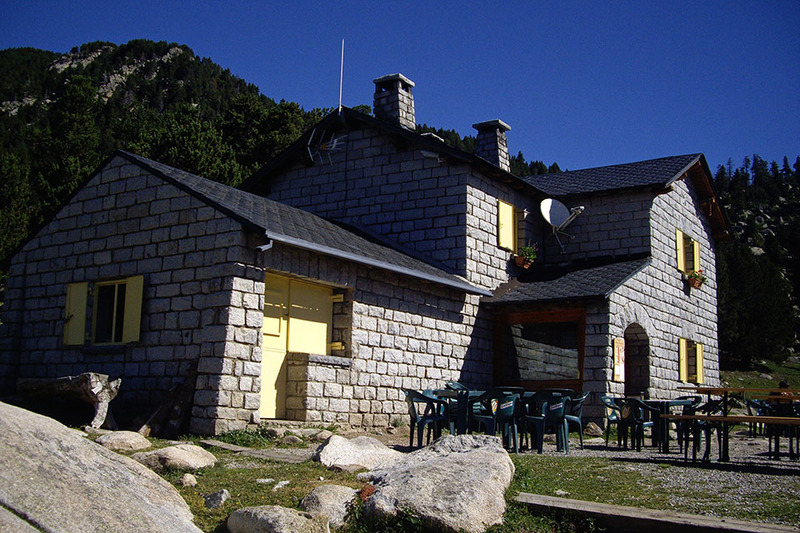 (0h55min; 2,7 kms) Refugio de la Feixa (2.165m), At the foot of the track, 100m further down, there is a drinking fountain (de la Feixa). 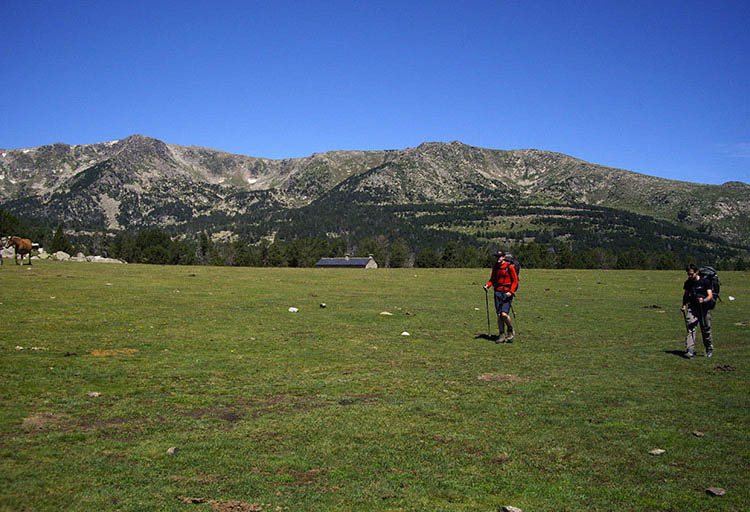 The GR11 does not reach the refuge, but turns right 200m before, crossing grassy fields (Pla de la Feixa). 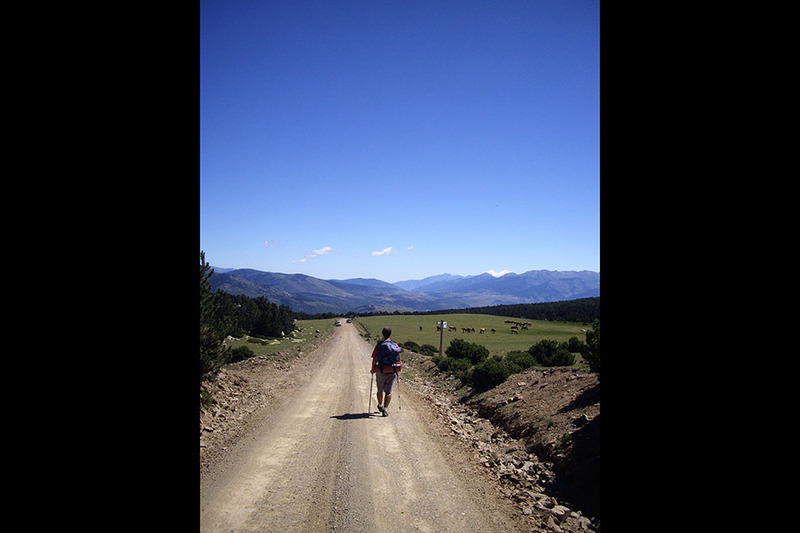 You cross a path that comes from the refuge in a north-south direction, and begin the long descent to La Cerdanya. After 1 kilometre you cross a track at Pla de la Fontanera (close to the ski station) and cross an area that was affected by the fire in Puig de Peransau. 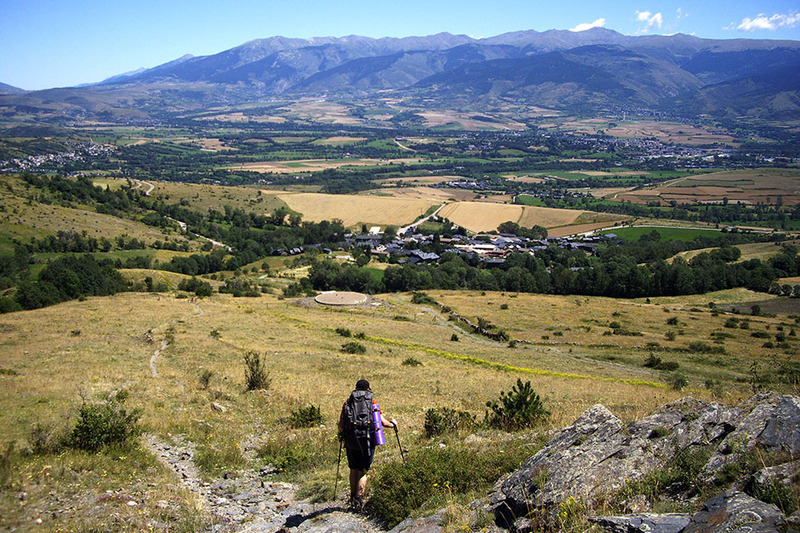 A quick descent takes you to Guils, and towards the end you walk parallel to the Mata de l'Ós torrent. (4h00min; 14,4 kms) Puigcerdà (1.155m). 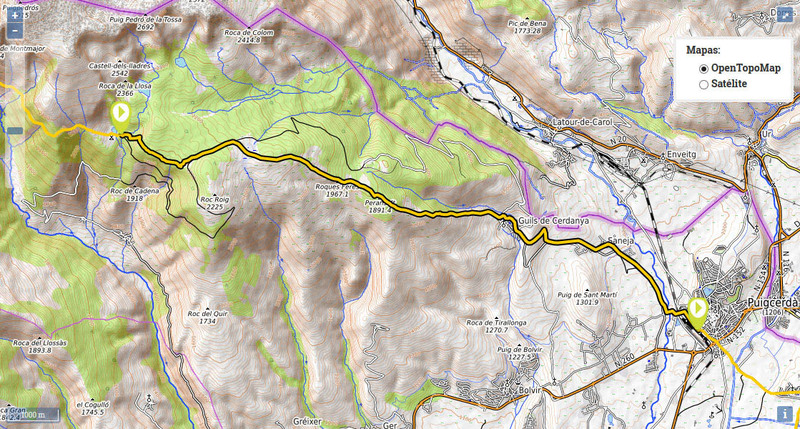 At thebeginning of the stage, you have the Refugio de Malniu (/). In Guils de Cerdanaya, Restaurante El Picarol (//), also has rooms. In Puigcerdà there is a choice of accommodation. 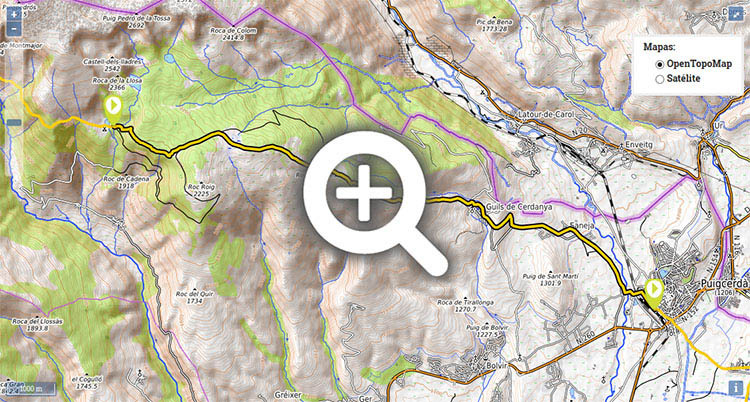 We recommend Hostal l'Estació	(//) (next to the railway station, clean, economical and next to the trail). During the stage, in Guils de Cerdanaya, we recommend Restaurante El Picarol	(//). For a reasonable price they offer home-made food, à la carte, menu of the day, vegetarian options, grilled meat and Catalan pizza. 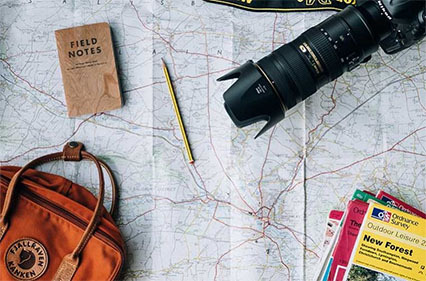 In Puigcerdà you will find everything you need. 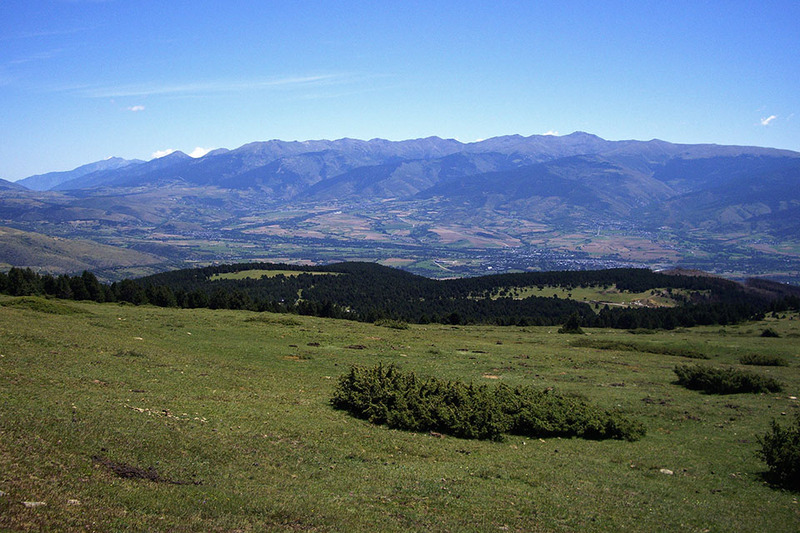 Malniu mountain refuge is accessible by car from Malniu via a forest track (10kms). To get to Puigcerdà, the bus company Alsaprovides 2 bus routes: Puigcerdà-La Seu d’Urgell-Lleida and Llívia-Puigcerdà-Barcelona. Another company, Autobuses Teisa (/) runs bus services on the Puigcerdà-Girona line, with 1 bus per day on working days. This bus stops in Planoles, the end of the next stage. If you choose to travel by train, Puigcerdà is connected to the line: Barcelona-Vic-Ripoll-Ribes de Freser-Planoles-La Molina-Puigcerdà-La Tor de Querol (RENFE). Estribaciones del Puig Pedrós desde el Pla de la Feixa.